Google, the search giant, has progressed immensely in every field of technology over the past couple of years. One of such remarkable updates was also the Google Earth. Google Earth time-lapse was introduced in 2013, an update which helped us experience the Earth wide view in the most ethereal form due to its comprehensive changing imagery of our lovely planet. It was this update which allowed users to be able to see the notable changes on the face of our planet. Changes like the sprouting of Dubai’s artificial Palm Islands, the urban expansion of Las Vegas, Nevada, the expansion of the Oakland Bridge in San Francisco, and much more. Google has now introduced an update for this timelapse, the largest one yet, by collaborating with TIME to provide us with time lapses of the world’s the most scenic locations. This update includes the addition of 4 years’ images to the time-lapse, petabytes of new data, and a much sharper and crisp view of the Earth from 1984 to 2016. 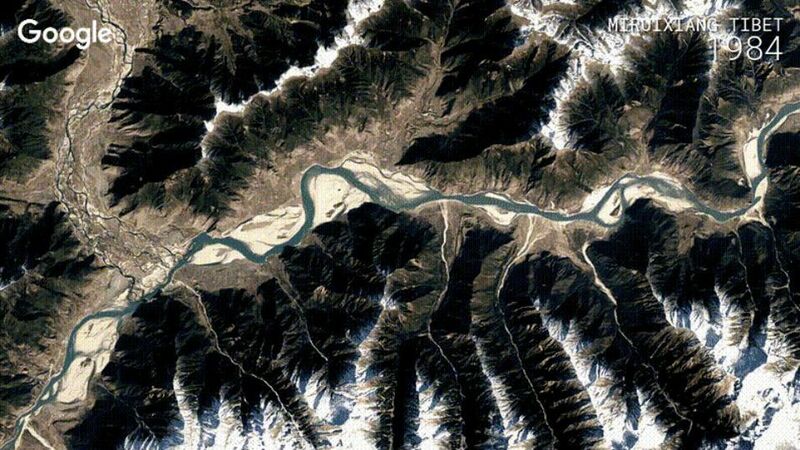 Google has said that by using its Earth Engine, it has been able to extract 5 million satellite images over the past three decades with five different satellites. The latest timelapse consists of 33 images, one for each year. This update was made possible by the Carnegie Mellon University’s Create Lab’s Time Machine – a technology that is used for creating and viewing zoomable and pannable time lapses over space and time. The internet giant has worked with the US Geological Survey (USGS), NASA and Time to release these time lapses. Most of these images were produced by the Landsat Global Archive Consolidation Program, a joint USGS and NASA program that has been monitoring the Earth since the 1970s. To view this stunning new update, you can go to the Earth Engine website or you can explore this new update on this 40-minute long and mesmerizing YouTube playlist.